The colours on the Shepherd’s Pie at F&B are beautiful. The popular F&B restaurant in Windsor, Ontario, has launched a new winter menu that is sure to please. Duck with juniper and coffee crust from F&B in Windsor, Ontario. 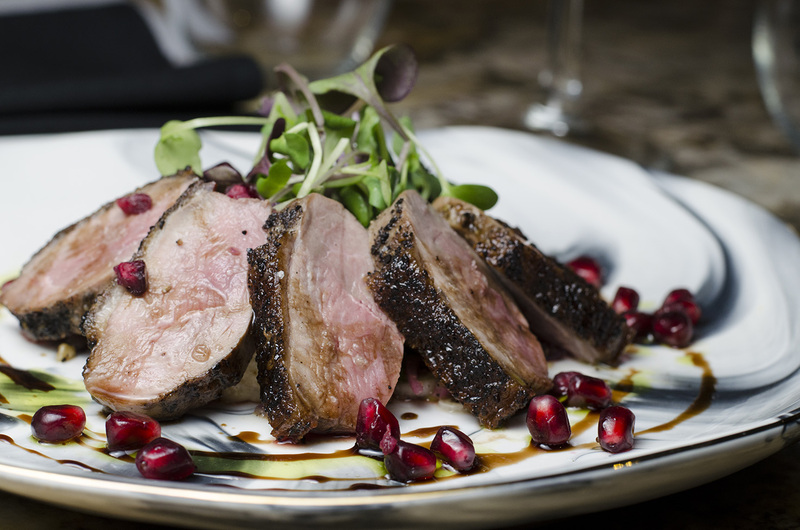 While the dish is kept fresh with ever changing flavours, duck is always a feature on every F&B menu. This edition of the menu features it served with roasted celery root and pomegranate and encrusted in coffee from Windsor’s own 30ml Coffee Co. and juniper. Sweet potato gnocchi on the F&B menu in Windsor, Ontario. Little pillows of love. 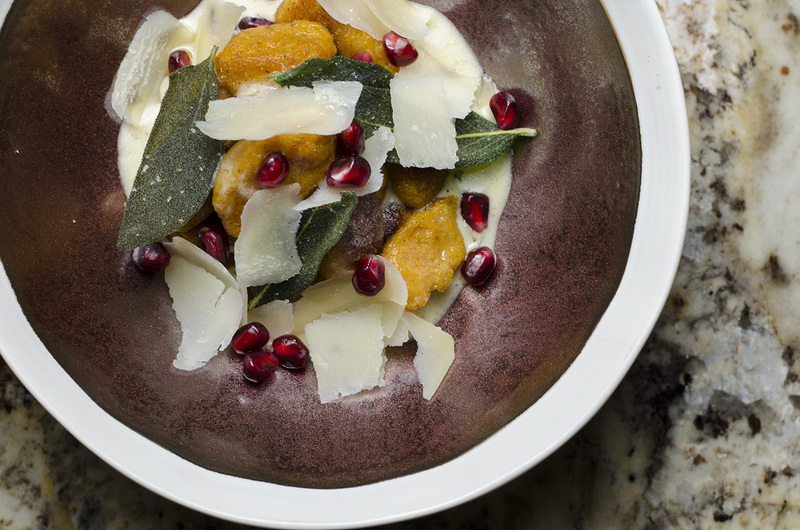 Traditionally made with potatoes, the twist here is the use of sweet potatoes to create an entirely different (read: amazing) flavour that includes a brown butter cream sauce, fried sage and Parmesan. Just look at the airy and crispy outer layer in the photo above. Incredible. 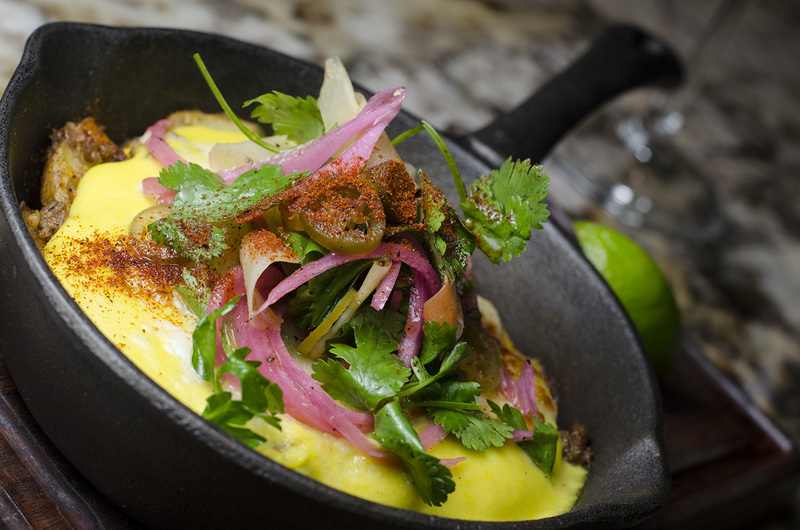 That alone makes us want to eat 5 servings of this dish. 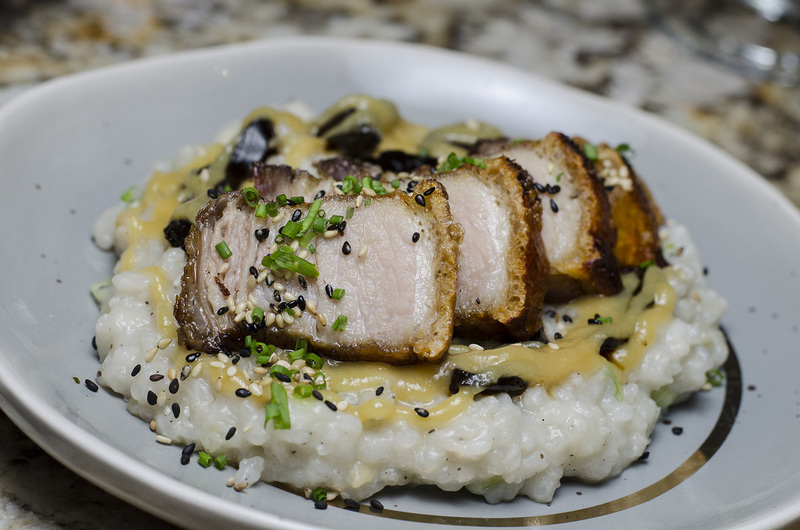 The pork belly is served atop dashi risotto, citrus miso sauce and pickled shiitake. 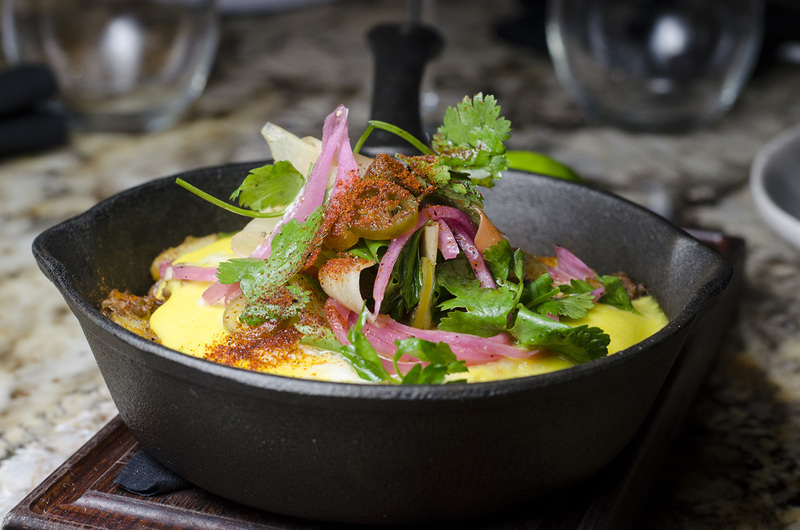 The moment this dish is brought to your table, you’ll be amazing by the colours. The wild boar chorizo, corn and celery root purée and smoked cheddar then launch the flavours into the the stratosphere. A wonderful take on a classic dish. Rainbow trout on the F&B winter menu for 2018. 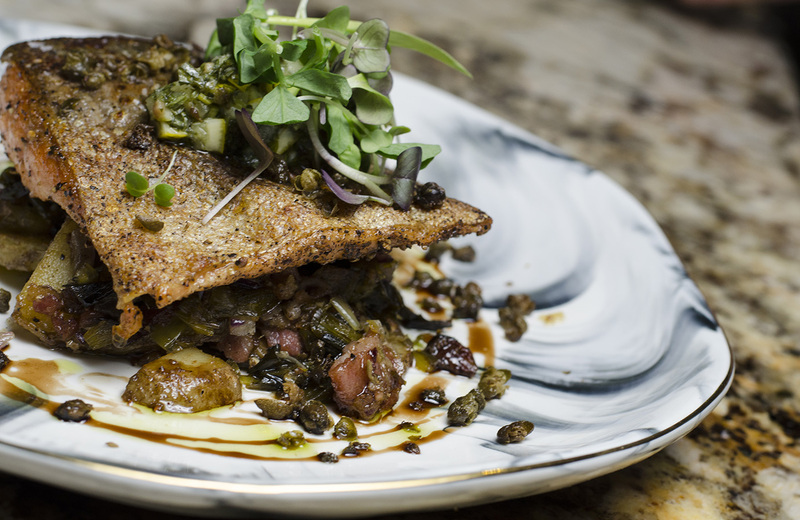 The F&B kitchen worked their magic again on the rainbow trout, served atop caramelized leeks, bacon, meyer lemon gremolata and fried capers.